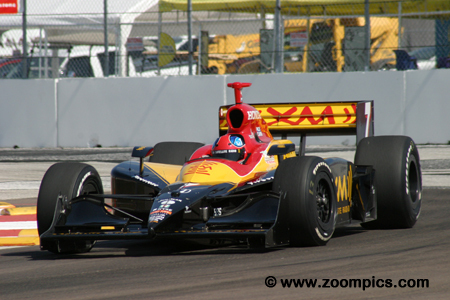 2006 marked the eleventh season of the IndyCar Series. Fourteen rounds would be contested to determine titles for teams, chassis constructors and drivers. The season opened in late-March at Homestead-Miami Speedway, Florida and ended at Chicagoland Speedway in early September. In between these two weekends, there were races held at Saint Petersburg, Twin Ring Motegi, Indianapolis Motor Speedway, Watkins Glen International, Texas Motor Speedway, Richmond International Speedway, Kansas Speedway, Nashville Superspeedway, The Milwaukee Mile, Michigan International Speedway, Kentucky Speedway and Infineon Raceway. There were some newsworthy stories during the offseason. Perhaps, the biggest change in 2006 was the withdrawal of Toyota and Chevrolet as engine suppliers. Teams would use the Honda HI6R Indy V8 motor. The chassis situation remained unchanged. Teams had the choice of using the Dallara or Panoz chassis. 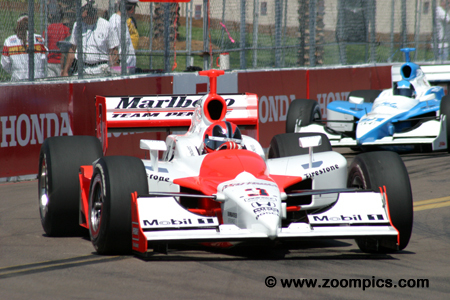 For various reasons, three tracks were not included on the 2006 schedule – Phoenix International Raceway, California Speedway and Pikes Peak International Raceway. 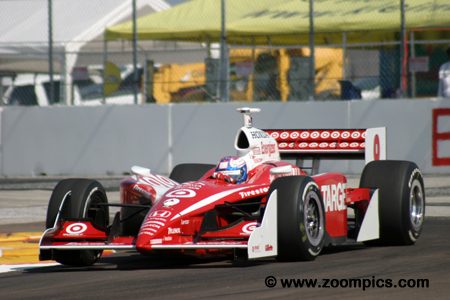 Several drivers switched teams; the most notable was 2005 IndyCar champion who Dan Weldon left Andretti Green Racing for Target Chip Ganassi Racing. Marco Andretti would fill the seat vacated by Weldon. Finally, rumours persisted that Indy Racing League founder, Tony George was in negotiations with Kevin Kalkhoven of Champ Car to combine the two open-wheel series. Round one, at Homestead-Miami Speedway, was marred by a practice accident which took the life of Paul Dana. A week later the teams traveled to Saint Petersburg for the Honda Grand Prix of Saint Petersburg. Competitors would race around the fourteen-turn 1.800-mile temporary street course for one-hundred-laps. There were a total of nineteen starters. 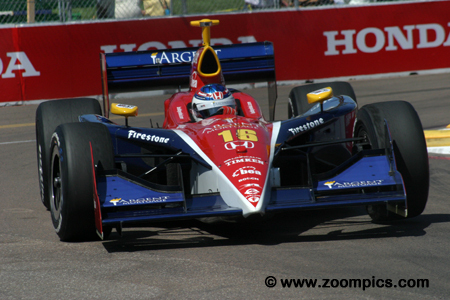 Scott Dixon inherited the lead when Dario Franchitti retired. Dixon made contact while lapping a slower car and damaged his left front wing. This affected the car’s performance and the fifth fastest qualifier, Helio Castroneves was able to slip by and take command of the race. Castroneves battled with Dixon – only losing the lead during pit stops. He led the last five laps and scored his first IndyCar road course win. Returning for another season with Target Chip Ganassi Racing was Scott Dixon. In the off-season, his former teammate and 2005 IndyCar champion, Dan Weldon left Ganassi to join Andretti Green. Dixon was on form at Saint Petersburg and qualified on the outside of the front row - next to the pole-sitter, Dario Franchitti. 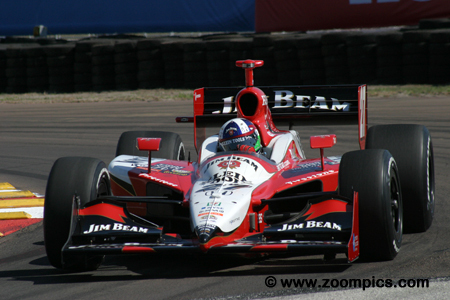 He led a total of thirty-six-laps and grabbed the runner-up position behind Dario Franchitti. 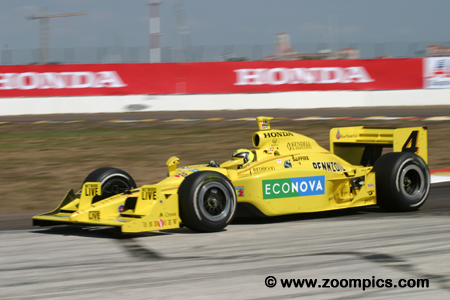 Tony Kanaan took the runner-up spot at the 2005 Honda Grand Prix of Saint Petersburg. 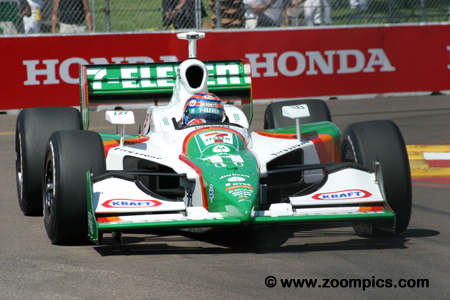 Kanaan returned with an Andretti Green Racing Dallara sponsored by Team 7-Eleven. In qualifying, he was second quickest until the last ten minutes of the session when Scott Dixon bumped him to third. Kanaan stayed with the leaders during the race and finished third. Last year’s pole-sitter, Bryan Herta was one of four drivers on the 2006 Andretti Green Racing team. Herta’s season did not get off to a great start. At Homestead-Miami Speedway, he started eighth but retired after hitting the wall. In the season’s second race, Herta qualified the XM Satellite Radio sponsored Dallara sixth quickest and finished fourth. 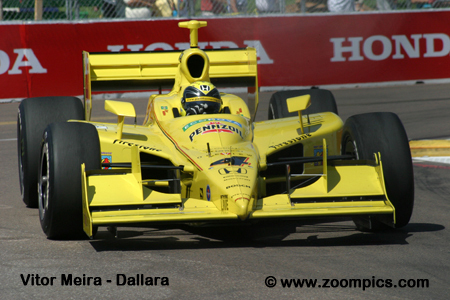 Vitor Meira driving a Dallara for Panther Racing was in fifth place at the checkered flag. This was a much better result than round one at Homestead-Miami Speedway where Meira started last and only completed ten-laps before retiring with an engine problem. At Saint Petersburg, he was gridded twelfth out of nineteen competitors but a solid performance by the team produced a great result. In qualifying, Dario Franchitti was the driver to beat. Piloting the Klein Tools/Jim Beam Andretti Green Racing Dallara, Franchitti captured the pole and was three-tens of a second quicker than last year’s qualifying record. At the inaugural event in 2005, he finished third but this year, Franchitti would not be as lucky. After only fifteen laps, he was the first retirement from the event with a wheel bearing issue. A fan favourite, Danica Patrick drove the No. 16 Panoz for Rahal Letterman Racing. Patrick joined Rahal Racing in 2003, competing in the Toyota Atlantic Championship. After two years racing Atlantics, she joined the IndyCar series. At Saint Petersburg, Patrick qualified fourteenth. As the result of an excellent pit strategy, good driving and attrition she advanced the most positions during the race and finished sixth. Marlboro Team Penske driver, Sam Hornish, Jr. started on the pole in the season’s first race at Homestead-Miami Speedway and finished behind his teammate, Helio Castroneves in third place. At Saint Petersburg, he qualified his Dallara fourth quickest. During the first round of routine pit-stops, he led for two laps. Unfortunately, Hornish, Jr. was slowed by brake problems and fell to an eighth-place finish.